Lay the foundation by getting leaders involved, establishing a prayer emphasis, creating a timeline and setting goals. Transfer the vision of ONE Focus to the entire church and asking for a commitment. Connect your church with ONE—where discipleship and evangelism merge. Build in accountability, urgency, celebration and evaluation. The ONE-Focus allowed our whole church to get on the same page for an entire year. I like One Focus because it’s simple – every member intentionally reaching out to one unsaved or unchurched person during one year. The response we’ve had thus far is amazing. Each week more and more introduce their friends and neighbors to me that are their “ones”. One Focus really fits our church. ONE Focus Training is completely FREE. It is our mission to bring the ONE Focus initiative to as many churches as possible. That is why we are making our comprehensive training completely free for you and your church. Most church leaders have a desire and passion for mobilizing their church for evangelism. But they do not have the plan or coaching needed. Our ONE Focus team has developed the plan and provide the coaching. This is an example module from the ONE Focus PreLaunch Training. 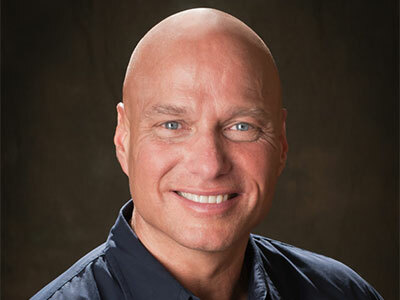 Scotty is a sought after speaker who has traveled both nationally and internationally to a variety of venues—from Fortune 500 companies, school systems, hospitals, statewide organizations, large non-profits, and many churches. Scotty’s speaking is passionate, relevant, and challenging. He is also an author who has written books, training materials and published articles. He and his wife Cindy live near Dallas, Texas. Church Catalyst is the ministry that provides the One Focus Initiative to Mobilize 1000 Churches. Is the ONE Focus Initiative free? Yes, others have provided funding to make this available to you at no cost. What is the value if I had to pay for it? The resources and coaching would cost $2,000. What is included in the ONE Focus training? Simply Sign Up Here and fill out a short application. You will then be assigned a coach who will make contact with you in a few days. The coach will help you take the next step. When is the best time to launch ONE Focus? We recommend January-April or September-October. How much time do you recommend from the time I start the training to the launch date? Every church and leader is different so the answer varies. However, we have found three months for the Pre-Launch is typical. Has ONE Focus worked for every church? No. It still requires leadership, focus, execution and prayer. We have found that 90 – 95% of churches see Kingdom results. How can I become a ONE Focus coach? First, your church must participate in ONE Focus and follow the plan. Second, you must have the ability and availability to coach other leaders. Third, you would complete an interview and certification process. How long is the ONE Focus Initiative? We strongly recommend an entire year to implement ONE Focus. How can I financially support ONE Focus in other churches? What happens the years following the ONE Focus Initiative? You would continue the principles of praying, serving, sharing with the unchurched. ONE Focus changes the culture of the church. Our congregation’s response to the ONE Focus knocked the top out of our expectations! Needless to say, all the staff is elated that God is moving through our church, motivating and exciting our members with the ONE FOCUS initiative. Should you do the ONE Focus? Absolutely! It is a non-confrontational missional outreach. It equips the people to engage one un-churched person by sharing the love of Jesus with them through developing a true relationship that demonstrates Christ- likeness. It’s doable by everyone. ONE Focus is clearly a movement of God in our church. Our members are praying and reaching out to their ONEs and God is providing opportunities. ONE Focus transforms your church from programs to vision for living a missional evangelistic life. With the ONE Focus initiative and Scotty and his team’s leadership, and much prayer and commitment, we’ve had a tremendous response. Will you love one for a year? The ONE Focus has brought a renewed spirit of anticipation that permeates throughout our church family. We’re seeing people come to faith in Christ every week. We heartily recommend Scotty, Mike, and the rest of the Life Catalyst team. ONE Focus ignited our church. As a pastor I’ve never experienced the commitment our people now have to doing their parts in the fulfillment of the Great Commission. I am so excited about the One Focus. In it God has given us a very clear plan for evangelism. The ONE Focus has moved our people out of their comfort zones to love and disciple their friends and to lead them to a personal relationship with Jesus Christ. ONE Focus is something your church should consider doing. Scotty Sanders and Mike Walker have developed this from the ground up. It helps your church to focus like a laser in reaching people for Christ. I encourage you to take a look. You won’t work with finer people. Scotty has put together a new evangelism initiative called ONE FOCUS that has revolutionized many churches throughout Louisiana. Personal friends of mine have told me how great ONE FOCUS has been for the church. He wants to get it going in Texas and I told him I wanted to help. One Focus has allowed Summer Grove Baptist Church to rally around the Great Commission and to give each member a way to reach out to another unchurched individual. I would strongly suggest that you consider One Focus for your church as you join me in praying for a Great Awakening. Scotty wants to call the ONE Focus an initiative. He is right. ONE Focus encourages members to take the initiative to focus on someone who needs Christ. You can call it whatever you like but it changes the culture of the church and the hearts of the church members. It gives you a vision to rally around. Just recently I had a young teen age church member tell me, “I think my one is getting close to accepting Christ. God has already given me my next one.” As a pastor that’s exciting. We’ve had increases in large Wednesday night attendance and our baptisms have more than doubled last year with the ONE Focus. ONE Focus has been absolutely worth it. Our baptism are up 140% over last year because of our peoples commitment to ONE Focus. What an incredible year! Baptisms up over a previous year’s high. We had 116 commitments of faith on the closing Sunday of ONE Focus. Thank you for your encouragement and continued desire to see the lost come to know Jesus as Savior. The best aspect of ONE Focus is the simplicity of picking “one” and placing an emphasis on reaching that “one”, while still being sensitive and available for others as well. It’s not age specific, so all ages are able to participate in the Great Commission. Anything that can engage most all of the church in evangelism has to be good. During the ONE Focus we saw baptisms rise over 700% compared to the previous year’s report. We saw the greatest improvements in children and youth departments with the ONE Focus. Both departments doubled in size. Wednesday night attendance jumped as well. It’s great to see the church so involved in Kingdom work. We’ve had great results with baptisms doubling our previous year. The ONE Focus has kept our people focused on those that need to know Christ. The jump is a baptism speaks for its worthiness and Kingdom value. We baptized nine times the number of last year and the harvest isn’t over yet.